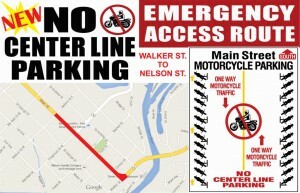 New for Friday the 13th in Port Dover, “Center Line Parking” is not allowed on Main Street from Walker Street to Nelson Street. This change will assist our emergency crews in their work. Originally posted May 23, 2014.